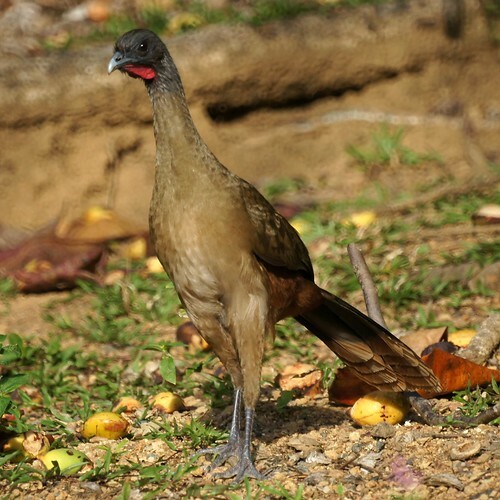 An interesting bird, the Chachalaca. They make a lot of noise in the trees and you hear them before you see them. Interesting at first, yes, but after a while we wished they would be quiet so we could hear some other birds. We made rude jokes about calling them Choke-a-lot-ofs instead of Chachalacas. 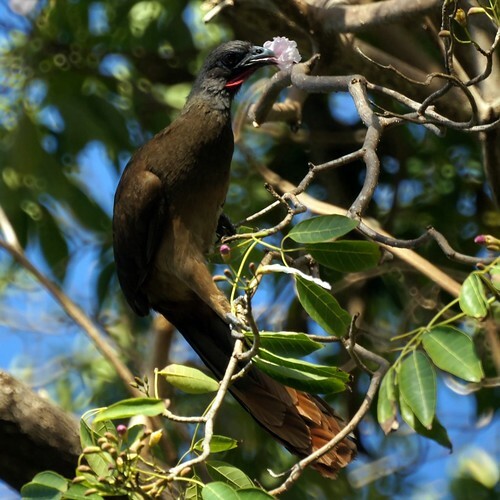 haha - it is quite an interesting bird though.